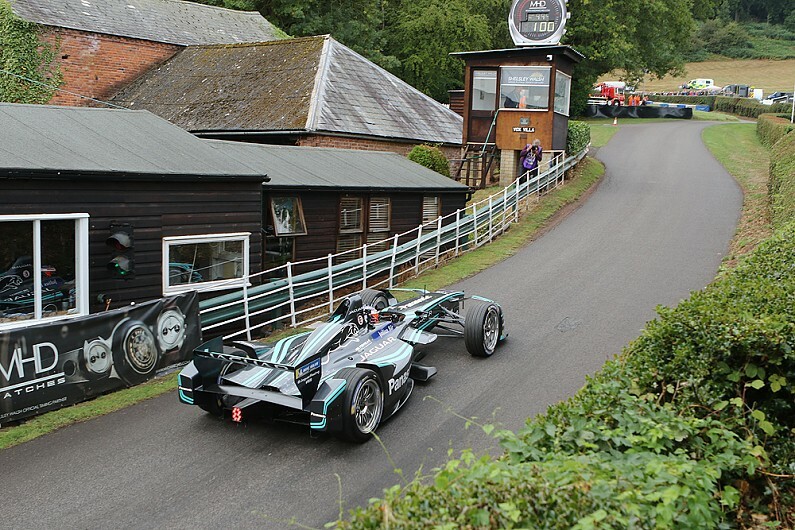 Jaguar Formula E driver Mitch Evans set a new Shelsley Walsh hillclimb electric record on the day marking 113 years of competition on the world’s oldest motorsport venue. To mark Jaguar’s strong links with the famous Worcestershire venue, Evans tackled the 1000-yard hill in the outgoing generation of electric-powered single-seater, setting a best time of 30.46s on a track still damp and greasy from morning rain. The climb, which predictably set a new record for electric vehicles, was within a couple of seconds of comparable times set by leading contenders in the British Hillclimb Championship but close to eight seconds off the outright record. “It was extremely different,” said the New Zealander. “It is my first hillclimb and I’m in at the deep end. It is amazing to see some of the cars here. “This is a bit of a send off for this generation of car. “The car is a lot heavier than the top single-seaters [hillclimb cars] here but hopefully the torque will help me. But it is certainly not designed for this environment. After two sighting runs in the rain on Saturday evening, Evans ran two timed climbs on Sunday, hitting 100mph on the approach to the Esses on his second and quicker run. 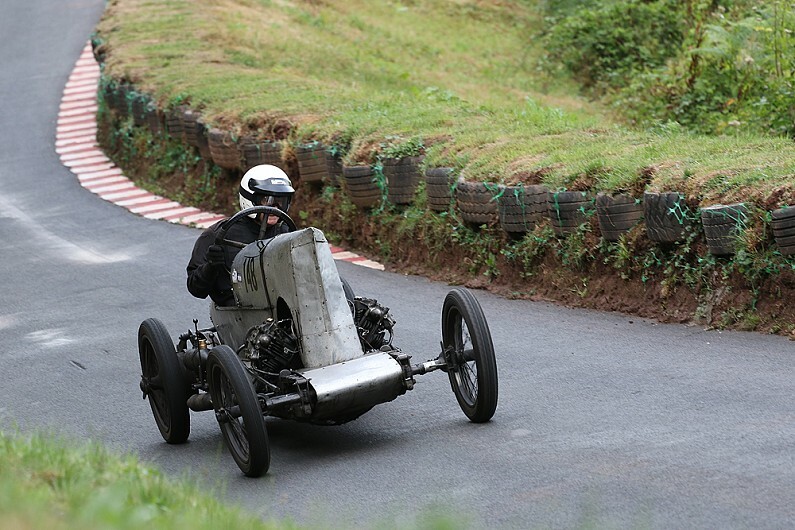 Also in action was the GN Spider, made famous in the 1920s by Shelsley hero Basil Davenport. In 1926, Davenport was the first driver to break the 50s barrier in his self-conceived special. The car is now handled by David Leigh. At the other end of the spectrum, the Jaguar Daimler Heritage Trust sent along a 1907 Daimler TP35, similar to the example used by Ernest Instone to win the inaugural Shelsley Walsh event in 1905. That day, Instone climbed the hill in 77.6s.